Originally written in the late 1970s and published in three volumes, this Herman Wouk–like Taiwanese saga energetically depicts the ordeals of several generations of a Hakka (northern migrant) family, the Pengs. 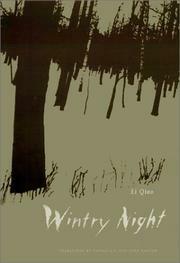 Li Qiao gradually focuses on mercurial adopted daughter Dengmei and her stoical husband Liu Ahan, while charting the family’s difficult assimilation into Taiwanese society during the 19th century, then (following the decades preceding WWII—covered in the original’s second volume, which is omitted in this translation) Liu Ahan’s sufferings as a Japanese conscript during the Philippine campaign. Though this version’s two halves fit together quite satisfactorily, one misses the epic sweep Li Qiao obviously aims for—and wonders how a full translation of his ambitious original might have differed from what we have here.